You are here: Home / Family Living / Parenting / More Frugal Birthday Parties for Kids! 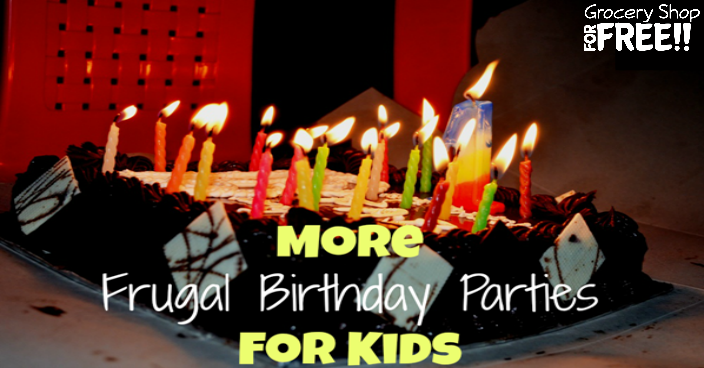 More Frugal Birthday Parties for Kids! We’ve been talking about Frugal Birthday Parties. I told you about my daughter’s dress up party, and her shopping party. This one can be for a birthday party or any kids party. I love doing swim parties. They are fun and easy! I do them with a little “twist” though. All of my kids parties were sleepovers (well most of them) and the first swim party I am going to tell you about is perfect for a sleepover. We don’t have a pool, so we had to use the community pool or a friend’s pool. But, for birthday parties we did midnight swim parties. Kid’s LOVE that they get the pool to themselves and at night! So, that was always a hit. They would come early and we would have hotdogs, chips, drinks, cake and some play time – video games, trampoline time, and then when midnight rolled around we loaded them up and headed to the pool! They loved it, then they slept ALL NIGHT – usually outside on the trampoline in the backyard! The second type of pool party we did for our youth group (Hubby and I were Youth Pastors for many, many years). I loved to have a Christmas pool party! I would find an indoor pool and do it at night and they loved it! They don’t often get to swim in the winter and it’s a fun treat! We did a few indoor pool parties for summer birthdays, too, but, the winter pool parties were definitely the favorite for them. So, there you have it 2 more great ideas for Frugal Birthday parties! What kinds of parties have you thrown from your kids?